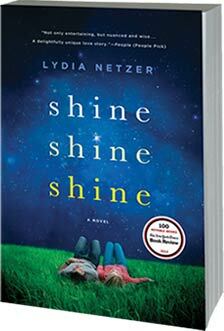 Lydia Netzer lives in Virginia with her two home-schooled children and math-making husband. When she isn't working as a book doctor, blogging, or drafting her second novel, she writes songs and plays guitar in a rock band. be your next pick. Enter for your chance to win a copy now! For Your Book Club(1 winning bookgroup, 10 copies) For Yourself(1 of 10 copies available) No Purchase Necessary. You must be 18 or older and a legal resident of the 50 United States or D.C. to enter. Promotion begins June 19, 2013 at 12 a.m. and ends July 31, 2013 at 11:59 p.m. ET. Void in Puerto Rico and wherever pr ohibited by law. For Official Rules and to enter, click here.